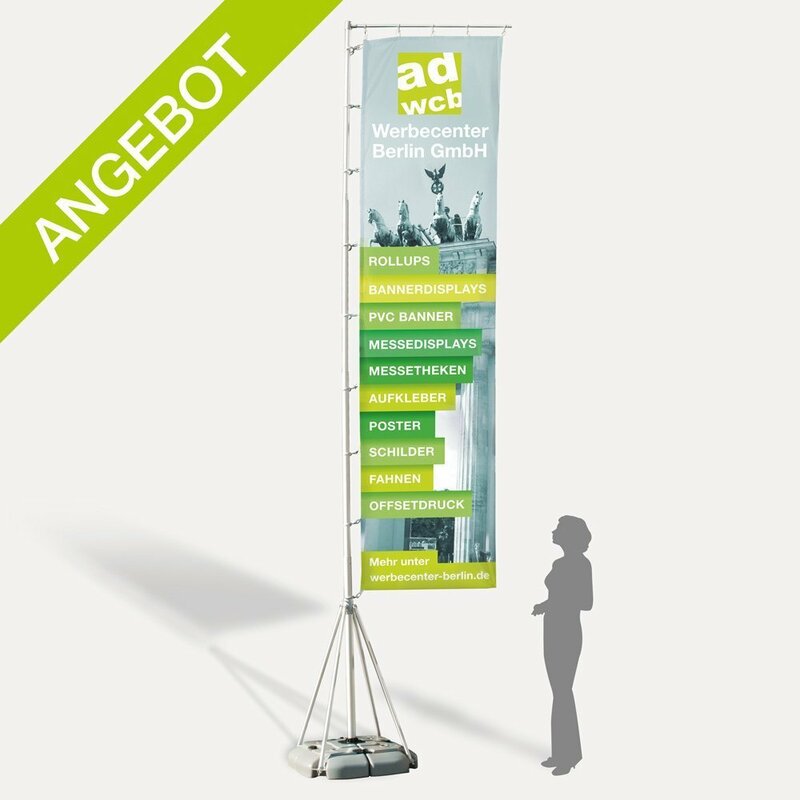 The "Mega Outdoor Flag" with a height of 5 meter is an ideal eyecatcher for your advertising at outdoor events or in front of stores or companies. The printed flag material has a visible size of 400x100cm. 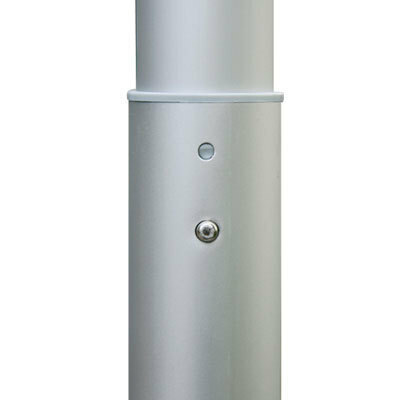 The total height including stand is 500cm. The offer includes the print with your motif, the flag system with a transport bag and a large base foot with transport bag to stabilize the outdoor flag. 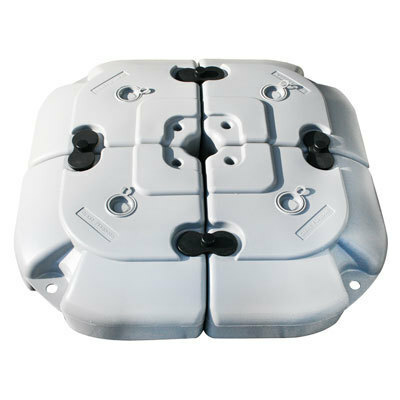 The set up is also possible for inexperienced users within a short time without tools. The poles are inserted one by one in size, then apply the print over it. Tight the printed flag fabric by hook it into the cross-foot with the carbin. 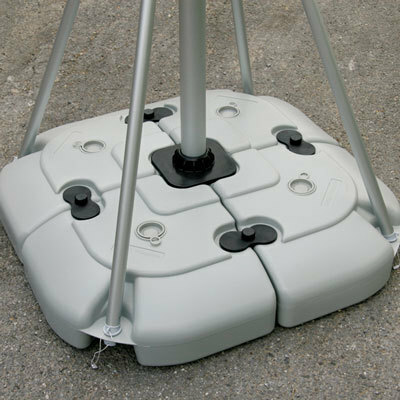 The big plastic foot consists of two segments with a standing size of 80x80cm. The hem is reinforced with a webbing. 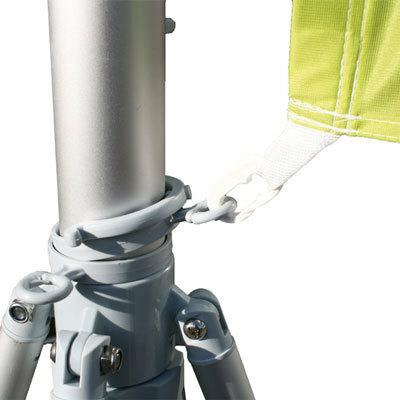 Every 50cm there is a carabiner hook, as described in our PDF template. For details please see our data sheet. 4/0 CMYK sublimation print (file resolution max. 150dpi). The flag fabric is printed on one side. Your motif is visible mirror inverted on the backside. B1 is a fire safety classification certificate and describes the fire retardancy of the material, which is mandatory for many events and trade shows. Please ask the organiser in advance. To create your data file correctly, you will find a PDF template under point "Print data". If the color compatibility is a high priority, please order a proof. This allows you to counteract color variations and customize them in your file, if necessary.